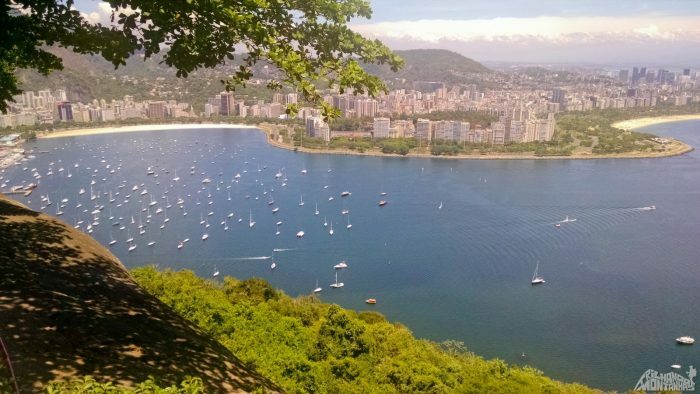 If you would rather enjoy the natural beauty Urca has to offer, opt for the Cláudio Coutinho track around the base of Morro da Urca. This route is flat, marked-out and easy to find. It offers panoramic views of the ocean and Praia Vermelha (Red Beach). Along this path, you are more than likely to encounter some of Brazil’s cutest residents (marmosets) running along the railing and jumping through the treetops. Morro da Urca, sits in the shadow of big brother and Rio de Janeiro icon, Sugar Loaf Mountain. The cable car up to Sugar Loaf begins from Praia Vermelha, so if you’re interested in getting a better view from the top ride the cable car up after your run!